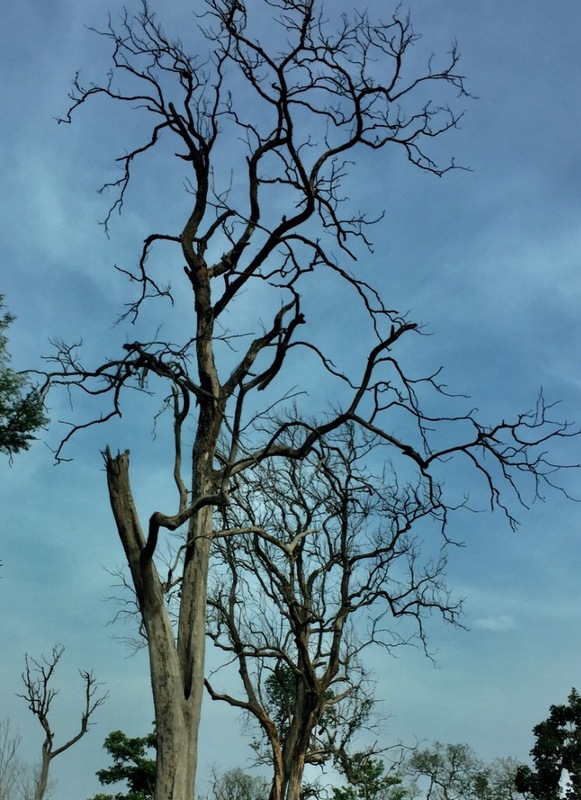 A free verse dedicated to a castaway tree by the roadside along the Bandipur – Mudumalai area, where a huge fire raged through a section of the forest, sometime last year. The heartbreaking sight of these barren trees not giving in before the wrath of Nature, but standing tall, unwilling to quit, inspired this post. Joining Parul Thakur with her post based on the theme, #Thursday Tree Love – where Parul brings you her #treelove picture and links to other beautiful ‘tree’ posts from the week. If you would like to play along, post a picture of a tree and link it back to her post. Let’s appreciate Nature around us! Forest fires sadden me 🙁 That was a beautiful poem Esha. Went so well with the tree shot. There’s nothing sadder than seeing a dead tree. This evening I saw a magnificent old tree felled by the rain shower and everyone was moaning about the traffic and inconvenience caused rather than mourning the loss of a tree. I agree, Sunita. It’s very sad to see trees dying this way! We see them so often after every downpour here in Bangalore-the old trees that fail to hold themselves after a lashing storm! What a stunning photo of a brave tree hanging on in spite of all it’s been through. Thanks for sharing. Thank you so much, Shirley, for sharing your thoughts! Evocative and poignant at the same time. Lovely piece of poetry and what a fascinating tree! Thank you so much, Natasha. Glad to see you stopping by! Thoughtful and poignant words that capture the essence of this tall and brave tree. Awesome this is, Esha!